For video guide, click here. 1. 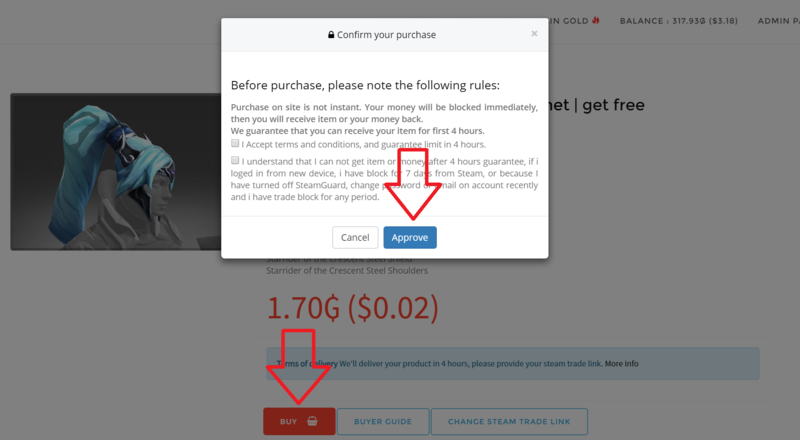 Sign in with Steam and load your Steam trade link. 2. Go to Gain Gold section, choose the daily task you like to do, and earn Gainkit Gold. 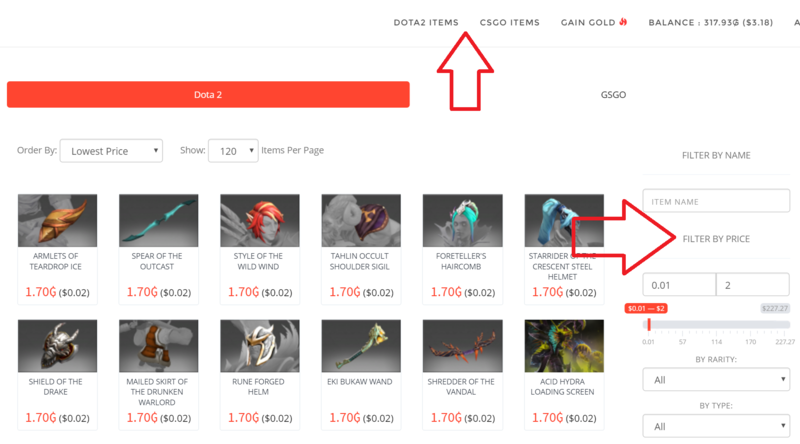 In this section you can farm free gold as much as you can, after that you can spend it on CS:GO Skins or Dota2 Items. 3. Browse CS:GO skins or Dota 2 Items at marketplace section. Use our Advanced Search tool, find an item you're interested in buying. Once you've found item, you can complete the checkout process by using your Gold on Gainkit Wallet.